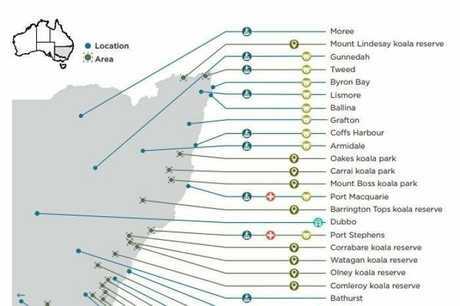 Conservationists have labelled the State Government's Koala Strategy as inadequate, calling for a ban on logging on the Coffs Coast. TIME is running out for the remaining koala populations in NSW, which are at risk of extinction from habitat destruction. And there appears to be no sustainable solution in sight, according to conservationists. "The strategy promises to create 24,000 hectares of new koala reserves, however few of these reserves will exist where there are current populations of koalas," Mr Pearson said. "The largest remaining koala populations in NSW are in the Coffs Harbour and Bellingen areas where approximately 20 percent of the state's koalas reside. Mark Pearson Animal Rights Party. "Koalas are territorial animals that thrive in habitat where they were born, amongst food trees they've grown up feeding on. "Creating koala reserves from exhausted logging areas with only new-growth trees will not sustain or grow healthy koala populations." Mr Pearson said the first three years of the strategy attempts to stabilise koala numbers in koala populations across the state. Which it aims to achieve via four pillars: koala habitat conservation, conservation through community action, safety and health of koala populations, and building our knowledge and education. 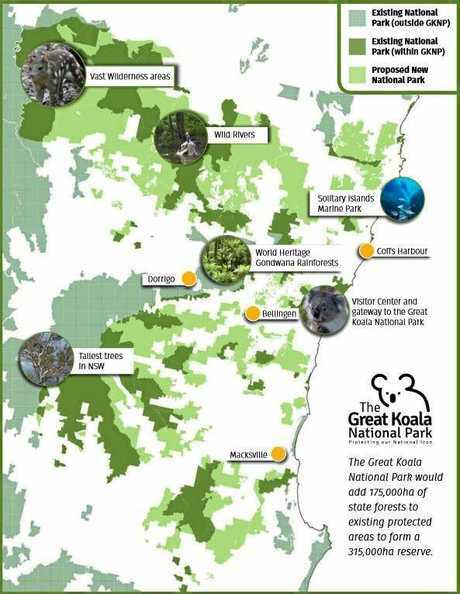 The State Government has unveiled its plan for a statewide Koala Park, following the momentum of the Labor and Green endorsed Great Koala National Park plan. "Three of the four pillars are almost arbitrary. If koalas can't survive in their native environment, there won't be a need for the other pillars," Mr Pearson said. "The Government has the power to do more to preserve one of the world's most iconic animals than simply provide newly sequestered habitat on disused land it no longer needs. "The Animal Justice Party NSW believes a ban on logging in native forests with koala populations is crucial to ensure the species' survival. "As well as the prohibition of development for housing, forestry, and mining in areas inhabited by critical koala populations." 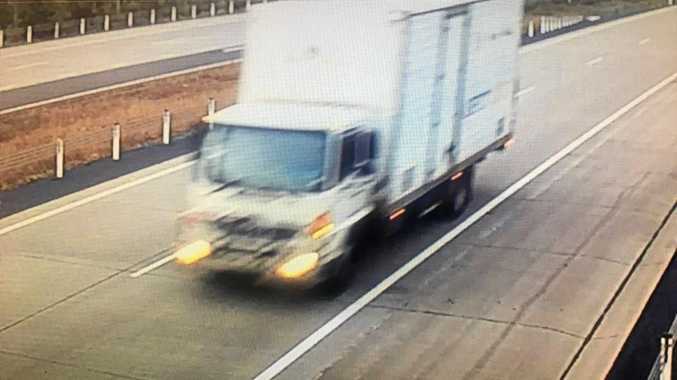 It' not just the Animal Justice Party NSW that thinks the strategy is flawed, Biolink Principal Research Scientist Dr Steve Phillips said it lacked scientific credibility. "One of my concerns is the strategy doesn't attempt to protect the habitat of existing koala populations," Dr Phillips said. "I've been working with koala populations all over eastern Australia for nearly 40 years, and none of the new reserves promoted in the Strategy are where I've been studying traditional koala habitats." 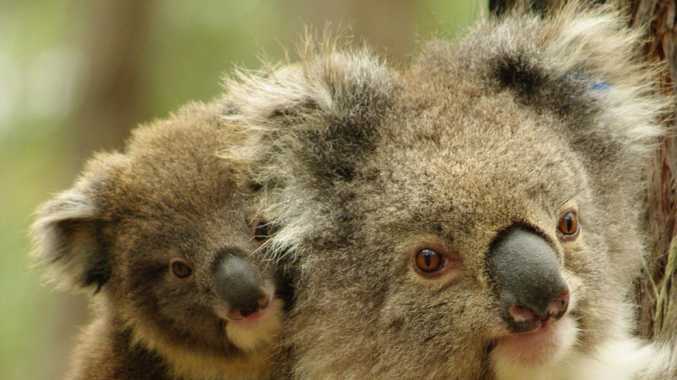 The veteran koala ecologist also questioned the ability of the new reserves to be able to sustain resident koala populations, quoting decades of recovery from historical logging disturbances before they will be ready. "All available data has shown me that a stable and plentiful food source comprised of suitably sized and mature feed trees is key to sustaining koala numbers," Dr Phillips said. 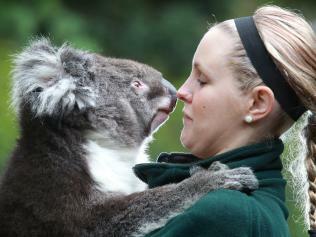 "The average adult koala will consume around half a kilo of eucalyptus leaves per day. The Government's new reserves haven't had enough time to recover from logging. "Trees have a very slow growth rate on low-nutrient soils and because of the relatively young age that predominates in heavily logged areas, the trees preferred by koalas produce anti-feedants to protect themselves from koalas. "These reserves are largely incapable of supporting koalas."